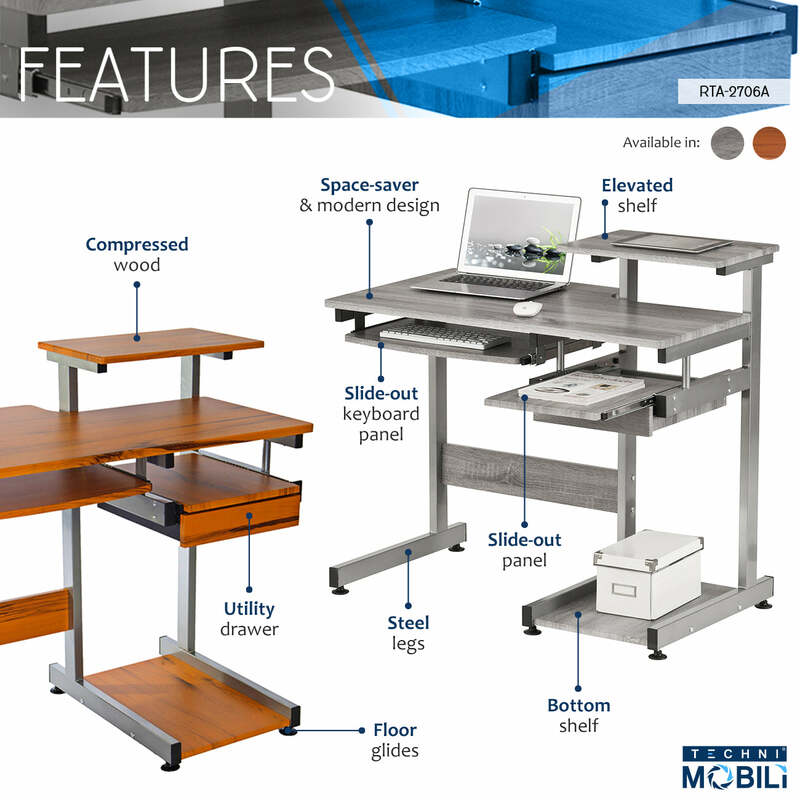 This Techni Mobili Complete, Space Saving Computer Workstation its lends an air of traditional workmanship to it's versatile contemporary design. It has a simple yet sturdy design made of heavy-duty engineered wood panels with a moisture resistant PVC laminate veneer and a scratch-resistant powder-coated steel frame. The keyboard shelf, adjacent shelf and utility drawer are all mounted on slide out tracks featuring safety stops and have a 30 lb weight capacity. The spacious desktop can hold up to 80 lbs. Color: Grey & Wood Grain.